Dr. DeFoore's Healing Anger Newsletter entitled "Stop The Internal Anger"
(In case these links don't work on your mobile device, click here to read the newsletter on the web with full functionality). Why Do You Get Angry At Yourself? How Can You Make Peace With Yourself? Why Do You Get Angry With Yourself? Surprisingly, you get angry with yourself because you have an idea about how you should be, and it's hard to measure up to that. Welcome to the human race...we all do this. You were designed to improve. It's built into your DNA. That's why your mind thinks about how you should be, always setting high standards and expectations. You got this idea of how you should be from others. Parents, teachers, ministers, etc. 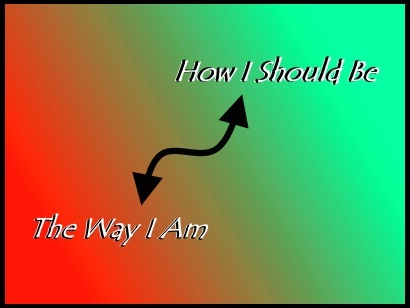 have laid out for you the "right" way to be, but who really feels that they measure up to those standards? You also have an internal sense of the wonderful person you could actually be, and this standard can be difficult, or you can transform it into an opportunity for growth (see below). Either way, you're going to end up being angry at yourself at some level. You'll be angry at yourself for failing in your continued efforts to be "good," or you'll be angry at yourself for selling out and deciding to be "bad." Keep in mind that this is most likely happening on a subconscious level, so you may not be aware of it. The good news here is that you truly want to be a good person. The not-so-good news is that you might have a hard time measuring up to what you think a good person is. "Focus on what you like about yourself right now, and always look forward to getting better with time, as you move toward your ideal." The most important thing is to never give up on yourself. Many abusers with extreme anger problems have given up on their own inner goodness, and that can only lead to pain and suffering. All you need is some peace of mind...right? Well, let's see how we can get you moving in that direction. This is something you are always seeking, whether you realize it or not. Think about why you do the things that you do, and you'll find that the ultimate goal is to feel happy, content and peaceful inside yourself. Making peace with yourself is so very important, for so many reasons. Meditation is the practice of inner peace, for example, and studies have shown that regular meditation leads to better health, better mental focus, and healthy brains during the aging process. Make peace with your past, by healing old emotional wounds. Inner peace is like a muscle, because it gets stronger with practice. And meditation is the best practice for peace. Another great way to practice peace is positive journaling. When you keep your mind focused in a positive direction, you will naturally feel more peaceful. Get very clear about the emerging vision of the person you choose to become, as a result of your experience and growth. Finally, take a look at the image above. Use that for your journaling, or just in your thought processes. 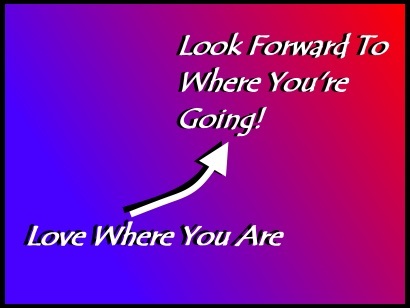 Love all of the good things about who, how and where you are now, and look forward to things getting better and better! The peace you want is already in there inside you, waiting for you. You just have to make sure you visit often. You can do this. You've got what it takes. Make up your mind to practice some of these techniques for at least 21 days, and you'll see some positive results. 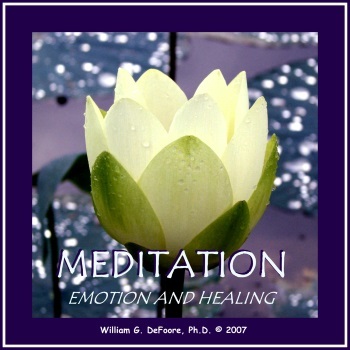 This highly effective audio program, available as a CD or MP3 download, will help you bring a sense of ease and comfort to your heart and soul. New web pages for you. I just published a new web page called, Surviving Infidelity that will help you figure out the next best steps if you're in an unfaithful marriage or relationship. Read new contributions from good folks like you, such as Can People Change? by a young woman only 9 months into a relationship that has already become abusive, and He Refuses To Leave My House by woman in a very difficult relationship. Our Other Web Site! That's right, Dr. DeFoore (that's me) has created another web site that is all about helping you feel good about yourself and the world around you. Visit goodfinding.com and find lots of positive, upbeat perspectives to help you with your anger and every aspect of your life, and sign up for the Goodfinding Newsletter, and/or the Daily Goodfinding Quotes.